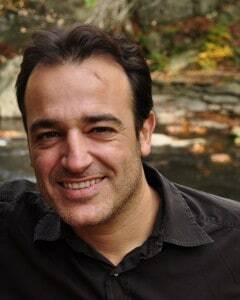 Fernando Casado Cañeque is the founder and director of theCentre of Partnerships for Development(http://globalcad.org/). He is a Ph.D. economist and journalist specialized inprojects related to economic and sustainable development. He has worked asstrategic advisor to a variety of international organizations (such asUNDP, UNIDO, UNDSD, UNEP, OECD, IADB and the World Bank) and has been theGeneral Coordinator of UNDP’s Millennium Development Goals initiative. Hehas also worked as a Senior Consultant in the Department of Sustainable Development and Social Responsibility at PricewaterhouseCoopers (PwC) inNew York. He is specialized in managing projects promoting the achievementof development goals and cross-sectoral partnerships improving aidefficiency. He is author of several books on CSR and development (such asWe Are Not Ants; CSR at the mirror; Public-Private partnerships forDevelopment; or The role of CSR of Spanish Companies in Latin America,among others), and he is the director of several social documentaries ondevelopment issues. Fernando is a certified Master Trainer of the IFC-SMEToolkit of the World Bank, professionally accredited partnership broker(Partnership Brokers Accreditation Scheme) and certified with the GIZCapacity Works framework. He is also the Associate Director of the BOPGlobal Network. The concept of inclusive business has quickly transcended the stale model of corporate social responsibility. But in spite of some successful pilot programs, it hasn’t really affected the way major companies do business. If it’s going to have a real social impact, that has to change, argues Fernando Casado Cañeque. The BoP Global Network has released the report “Raising the Base of the Pyramid Through Enterprise - Innovative Case Studies of BoP Ventures and Initiatives” has been published. The report documents 16 case studies implemented by the BoP Global Network Learning Labs (also known as Innovation Centers) from around the world.